'Christmas is the season for giving’! I only realised that this year. In the past, it was the most wonderful time of the year because of the presents I would be receiving. 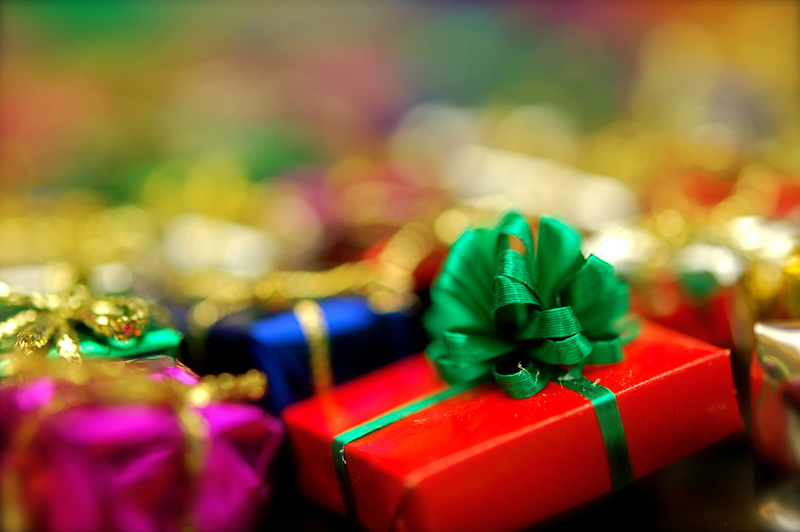 More recently, I have discovered that Christmas is great because of giving, not just receiving. I think most people will acknowledge that concept, even if they've never thought of it like that before. You only need to look at the parents of young children to see firsthand how happy they feel by giving. The vast majority of parents by nature, give to their children unconditionally for years and years. They give of their time, energy and resources, only to receive emotionally. I’m not saying that’s why they do it, but rather, that’s what happens. Whenever you give something, you receive something, if not materially, perhaps emotionally or spiritually. Does that sound too philosophical? Let’s consider some rules/laws where we can observe this concept in various disciplines. In a spiritual context, this is known as ‘Karma’, “the sum of a person's actions in this and previous states of existence, are viewed as deciding their fate in future existences.” In an physics context, this is known as Newton’s Third Law, “the third states that if one body exerts a force on another, there is an equal and opposite force (or reaction) exerted by the second body on the first.” And in a financial context, this is called “Double Entry Book-Keeping”. I will quote my father who is an accountant, “for every debit, there must also be a credit”. These are universal rules. Christmas is the season for giving not only presents, but also presence. I know that sounds cheesy. But isn’t that the best thing about Christmas? We spend time with people that are important to us and we give of our time and our energy. It can be challenging too, right? Tradition and society maintain that we should be spending Christmas with our families, whether we want to or not. Some families will be very close but other families will be less close. Either way, the social pressure is there. However, family is great because we are similar to each in some respects and different to each other in other respects. How boring would it be if we all agreed about everything with others all the time. No different opinions or ideas, no different view points, just complete agreement. That’s one thing I love about social media, it gives us an opportunity to hear a wide range of differing opinions and viewpoints, and in general, we are richer for it. I would be concerned if this article received only agreement - that would be a worrying sign of a lack of free speech. Having said that, I often wonder if we’ve lost something because of the way technology has let us communicate with anyone, anywhere, anytime. It means that we then have a choice to connect with only those whom we really want to speak to in that moment. Rather than speaking to someone that we're quite friendly with in person, we can choose to speak to someone that we're really friendly with in text messages or online. And I think we lose something because of it. I think we may miss an interesting story, a different point of view or a chance to find some common ground where there was none before. On occasion I ‘volunteer’ to look after my nephews for undetermined periods of time, when my brother is otherwise ‘busy’. “When are you coming back?”, I ask him as he speeds out the driveway. “When it’s finished... g’luck!”. And he’s gone. The boys look at me with a justifiable amount of panic as they consider the uncertain few hours ahead of them with their uncle, but only because they can read the same amount panic on my face as the reality of our afternoon becomes ever present. And the games begin. They couldn’t be a more excitable duo if I gave them coffee and kittens. I remember the last time I gave my nephew a gift, he looked at it for less than a second and ran away, making clear that the material value was wasted on him. How wonderful I thought, my nephew hasn’t learned to be materialistic... yet. So I’ve decided that no matter what I give my nephews, it’s meaningless unless I’m there to play with them also. Boys, if you ever read this, you won’t be getting any big presents from me this year, but I promise I will play games with you, watch cartoons with you, read with you and run after you - at least until one of us gets tired and needs a nap. I will give you nothing too big or fancy, but I will give it with all the time and every ounce of energy that I’ve got. Nothing with everything for Christmas. I hope you like it.